It’s that time of year when the temperature drops, the decorations start to come out and all of the Christmas books hit the shelves and maybe this has inspired today’s entry on the Bucket List. I recently reviewed Tilly Tennant’s The Christmas Wish here on the blog and have Darcie Boleyn’s Love at the Northern Lights coming up, both of which feature a visit to view this natural phenomena, so today’s addition to the wish list is hunting for the Aurora Borealis, or Northern Lights. I know I am not alone in having the desire to see the Northern Lights on my list of must-dos. Until recently, I was engaged in selling travel and the demand for trips to see this phenomenon has grown exponentially year on year. You can view them from cruises which guarantee a free return trip if they aren’t spotted during your voyage. You can see them from 40,000 feet on special flights taking off in the UK with an astronomer on board to give you all the scientific background. You can see them on a city break in Iceland. However, my dream Aurora hunting trip is very specific and involves lying back, snuggled in a warm bed and staring up at them dancing across the sky through the roof of a glass igloo at Kakslauttanen Arctic Resort near Saariselka in Finnish Lapland. The minute I saw the images of these ethereal buildings gently glowing in the darkened, snowy forest nestled in Urho Kekkonen National Park, my romantic heart was stirred and I was determined that one day I would be burrowed under furry coverlets (I don’t know if they have these, but this is my fantasy so I’m going with it) with the man of my dreams as we stare up at a sky alive with vibrant rippling colour, just for us. That would definitely be the makings of a night that you’d look fondly back on from your dotage when you limbs are frail and the only travelling you can do is through the memories in your mind. It sounds kind of lazy to view the lights lying down, but I am sure I would be partaking of the multitude of active outdoor excursions on offer in the area, Downhill skiing & snowboarding, snowmobiling, reindeer safaris, ice fishing and husky sledding are all available, some of which I was lucky enough to have tried before and would do again. Husky sledding in particular is one of my top five favourite things I have ever done (maybe the full list will appear in another post) and I would absolutely love to repeat it, but there are some other experiences on offer that I’ve never tried before. Riding safaris in the snow? Yes, please. Icebreaker Sampo? Absolutely! Cross-country skiing? I’d love to try it, especially with the promise of a sauna, warm bed and the prospect of all-night viewing of one of the world’s most fascinating and beautiful natural phenomenon on offer. Kakslauttanen is open outside of the winter months and there are a lot of activities available through the year that also sound appealing. Hiking and mountain biking. ATV and horse safaris. Canoeing and whitewater kayaking. Panning for gold and foraging for berries and mushrooms, And, of course, the summer has the virtue of long daylight hours in which to enjoy the outdoors. But the best time to see the Aurora Borealis is late-September to late-March, so this is when you’ll find me there – one day. My second bucket list entry may again seem like an odd choice, but I think I have been inspired by the approach of Halloween and the fact I am currently reading a book set in another creepy hotel. Bucket List Entry #2 is The Stanley Hotel in Estes Park, Colorado. The hotel, with 142 rooms, opened in 1909 and has been popular ever since as it stands only five miles from the entrance to the Rocky Mountain National Park and has beautiful views over Lake Estes and the Rocky Mountains. It is on the National Register of Historic Places. That all sounds very lovely, Julie, I hear you say, but what is so special about this hotel to make it worth flying thousands of miles to see? Well, I am sure most you will already know – it is because this hotel was the inspiration for The Overlook Hotel in one of the most famous books by one of my favourite authors, The Shining by Stephen King. The Shining was published in 1977 and was a huge success, being made into a film by Stanley Kubrick in 1980. Room 217, the room occupied by King that night, features heavily in the book and is now the most requested room at the hotel. Imagine being in a place where you have wildlife that close to the doorstep! The opportunity to possibly see wildlife so up close and personal adds even more to the lure of the area. I’m not sure I can sell ghosts and black bears to my other half as appealing holiday attractions so this one may need a little more work, but I’ll get there one day! Is there any destination that has inspired a novel that you would like to visit? I’d love to hear your literary destination bucket lists. For more details about The Stanley Hotel, please check out the hotel website. So, this is my first entry in my new Bucket List blog category, and I’m going off piste for the first one. It’s Fallingwater in rural Pennsylvania. Perhaps not the most obvious choice for my inaugural entry but I’m not adding these in any particular order and I have just been reading a fabulous book on the background of this house, Frank Lloyd Wright’s Fallingwater: The House and its History, so it is at the forefront of my mind. Fallingwater is a house designed by architect Frank Lloyd Wright as a weekend retreat for Edgar J. Kaufmann, owner of Kaufmann’s Department Store in Pittsburgh, and his wife, Lilane. It was built partly over the waterfall at Bear Run, in a isolated area of western Pennsylvania and is considered the finest example of Wright’s ‘organic architecture’, which promotes harmony between human habitation and the natural surroundings in which they sit. The house was constructed between 1936 and 1938 and used as a rural escape by the Kauffman’s until 1963 when they donated it to Western Pennsylvania Conservancy. It was designated a National Historic Landmark in 1966. In 2007 it was voted the best all-time work of American architecture by the American Institute of Architects. In has been open to the public since 1964, and since then has been visited by more than 5 million people, despite its remote location. Frank Lloyd Wright designed another one of my favourite buildings, the Solomon R. Guggenheim Museum on Fifth Avenue in New York, which I know you will all recognise. Aside from being aesthetically striking, the interior layout of this building, which curves around like the inside of a snail’s shell makes for a stunning and exciting way to view the art as you take a lift to the top floor and follow the curved slope down through the inside of the building. A fine example of the design of a building enhancing the experience of the people using it. A lot of people seem surprised when I tell them I am interested in architecture but, if you have ever been anywhere to admire a specific building – the Pyramids at Giza, the Colosseum, Westminster Abbey, the Empire State Building – then you are interested in architecture too. The many magnificent, adventurous and imaginative ways that people have invented to put up buildings over the centuries astounds me. I’ve visited Pittsburgh before, on a whirlwind work tour, but never made it out to Fallingwater. One day, I’d love to have the opportunity to go and see this ambitious house, so modern in design but that sits so quietly in its rural setting, and take a tour for myself. What is your favourite piece of architecture and have you ever visited it in the flesh? Have you been to Fallingwater? I’d love to hear your thoughts. In the spirit of new starts and new adventures beginning in the autumn, I have a few new projects on the go. I have recently taken the big decision to change careers and I am embarking on some training to take my career in a different direction which will lead to more involvement in the publishing world, I hope. I am, with some sadness, leaving behind the world of travel, but only in a career sense, and have more trips planned, both actually and in my dreams, but more of that to come. I am also pushing on with my own writing plans, eagerly awaiting feedback on my manuscript from the Romantic Novelists’ Associations’ New Writers’ Scheme so I can improve it, whilst also prepping for starting work on my second novel for NaNoWriMo. I also have some new plans for the blog. Some of you may have noticed that the format of the blog has changed slightly over the past week – that’s right, pay attention at the back there! – and I have some new categories set up. Truth be told, I have found myself a little jaded over the past few weeks. I made the rookie book blogger mistake back in the spring of getting over-excited and taking on way too many blog tours. This all came to a head in September, when I was just so over-extended that I found myself really not enjoying my book reviewing, or reading constantly to a deadline. I got to the point where I felt like I had nothing original or interesting to say about the books I was reading and I was boring myself, so heaven knows what I was doing to you lot! My blog stopped being fun, which is the really the whole the point of the thing. I was suffering from the dreaded blogger burnout. So, I have made a couple of big decisions regarding the blog which I hope will shake it up and make it fun for me again, which in turn I hope will make it more fun for you to read. Books will still be at the heart of the blog, because that is why I set up the blog in the first place and they are fairly central to my life. 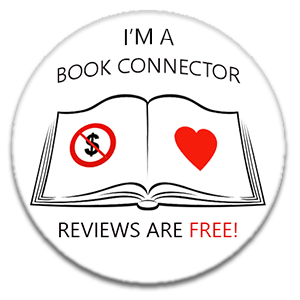 Also, I just love talking about them with other book lovers and helping to support and promote all the great authors out there. However, I have decided to cut back on the number of blog tours I am doing, limit them to one, or at most two per week and be really choosy about which ones I join. (I can hear Rachel Gilbey laughing like a drain as she reads this, given how rubbish I am about turning down her tempting tours. Rachel. I’m serious. I really mean it this time, cross my heart and hope to die!). This will hopefully give me time to read some of the other books I have on my TBR which I have been dying to read but have had no time on my schedule to get round to. Along with the books, I am going to write about some other topics that interest me. Travel is a big one, both in the UK and overseas, as that is something I just love to do. I’d like to share more about my own writing journey and how that is progressing, and I am sure bits of stuff about my family life might creep in. I’ve also decided that, as i approach my fiftieth birthday, I’d like to draw up a bucket list of things I’d like to do and, what better place to explore this and keep a record than here? I’ve decided to kick the new look blog off by taking part in Blogtober, with a new post every day on a mix of the new topics, starting with this as number one. So, I hope you will come along with me on my new journey and pop back each day this month to see what is happening, and maybe link me in to your blogs if you are doing Blogtober too. Hopefully we can learn a bit more about each other, outside of a mutual love of books. Maybe you lovely folks might have some comments or suggestions on the things I plan to do that will help me along the way. Feel free to chip in any time, I love to hear from you all. Happy Blogtober then, to all my lovely followers and thank you for supporting my little blog. I really do appreciate you taking time to visit my tiny corner of the internet and interacting with my inane ramblings and I hope you will like where it is going. So, 2017 is over and it was a year of mixed results as far as my reading challenges went. I managed to read 101 books to beat my Goodreads Reading Challenge of 100 books last year, which was pleasing. However, as far as my self-imposed ban on book-buying went, I had slightly less success. I was rock solid until the end of May, which was a huge achievement. However, in June I allowed myself a little loophole when I bid on some signed books in the Authors for Grenfell auction. Turns out this was a slippery slope. I managed to resist through July and August but then, in September, I went to the launch of Cathy Bramley’s new book and decided it would be rude not to buy a copy for signing, and that was that. The floodgates opened and I caved in and bought loads of books in the last third of the year, so my TBR is bigger than ever! Still, I lasted longer than I, or anyone else who knows me, could have predicted. I also launched my blog and as a result got to meet and interact with lots of great new people, so it was a worthwhile experiment but one I won’t be repeating. I have a book-buying addiction and I have resigned myself to it gladly- after all, there are more harmful vices. Despite my failure in last year’s challenge, I am keeping my blog alive and have set myself some new challenges for 2018. I have set my Goodreads Reading Challenge 2018 goal at 105 books, please link up with me using the button on the right to follow my progress. I have also joined a fabulous Facebook Book Club called The Fiction Cafe Book Club and will be taking part in their Reading Challenge for 2018, which is bi-weekly. First up we have to read a book with food on the cover so my first read for that will be Big Skye Littleton by Elisa Lorello. I will also be reading at least one of their monthly book choices, starting with The Surrogate by Louise Jensen, a fellow group member. I have also set myself the individual challenge of reading one classic novel per month that I have never read before. I am going to try and tie this in with my other challenges if possible. The title for January is Howard’s End by E.M. Forster. I am not sure how I have managed to overlook this all these years, especially as I adore A Room with a View, so I am looking forward to reading it. I am going to endeavour to be much better about reviewing all my reads this year, and be more active on my blog, so watch out for the reviews of these coming up. This is all part of my main resolution for the year, which is to prioritise my writing. The blog is a small part of this, but the bigger part is finishing the novel I have been promising myself that I will write for years. On turning 45 last year, I realised it was now or never for my writing so I have taken certain steps towards making it happen. I started my novel for NaNoWriMo in November and, as part of that I was lucky enough to spend five days on a writing retreat with the author Veronica Henry. Not only did I get a lot of writing done, I got to pick the brains of one of my favourite authors, and made a great new friend in the process, so that was an amazing experience. I did not reach 50,000 words in November but I do have the first third of my novel done and, in an effort to push my writing on, I applied for and managed to gain a place on the Romantic Novelists’ Association New Writers’ Scheme for this year. For those of you who haven’t heard of this great programme, you can find some information here. As a member of the New Writers’ Scheme, no only will I be able to attend the many fabulous events they hold throughout the year and get to meet other (proper) authors, agents and publishers, but I will also get an expert critique of my manuscript by a published author, in an attempt to get it into shape for publication. So, I now have a deadline. I need to have a full manuscript in the best shape possible ready to submit by 31 August at the latest. If that doesn’t motivate me, nothing will. As well as the above, I will be attending an Arvon writing retreat in Shropshire courtesy of my generous and supportive partner, The Irishman. I have also joined a wonderful writers’ group online, who are full of amazing support, encouragement and advice. I feel like, in them, I have finally found my ‘tribe’ that I am always hearing so much about so, if I don’t get a novel written this year, it will be no one’s fault but my own. Whether or not it gets published will be a story for another time, but I am determined to finish the book at the very least. So, a busy exciting year ahead and I look forward to sharing my progress with you all. What are your goals for 2018? I’d love to know. HAPPY NEW YEAR & MAY 2018 BE A SUCCESS FOR ALL OF US!